Hey everyone! Now I know I posted yesterday but today's post is long overdue and I felt bad even leaving it until tomorrow so here we go! 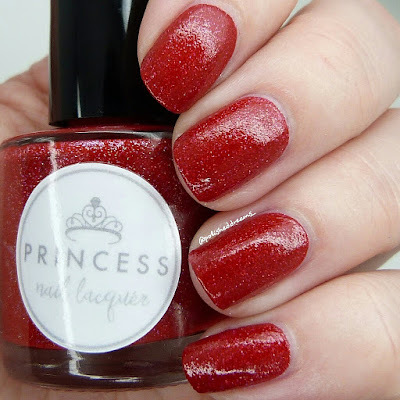 You may have seen around that there is a new UK indie brand on the scene called Princess Nail Lacquer. 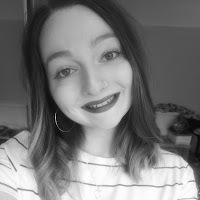 PNL is run by a lovely lady called Ashleigh and she opened at the beginning of May so when I say new, I mean new! Like most UK indies, Ashleigh's polishes are 5-free, cruelty free and they are also vegan which is obviously great. If you're already interested then you can find her shop here and her Instagram page here. 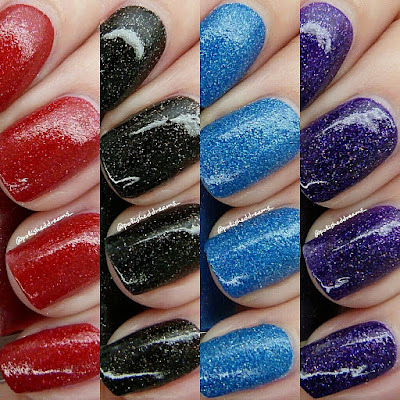 There are already a wide range of polishes to choose from including holos, glitters and cremes so definitely something for everyone. After spending weeks leading up to the release date oo-ing and ah-ing over all her polishes on Instagram, I decided to get The Space Adventures Collection. Really I wanted them all but y'know, kinda limited by money. 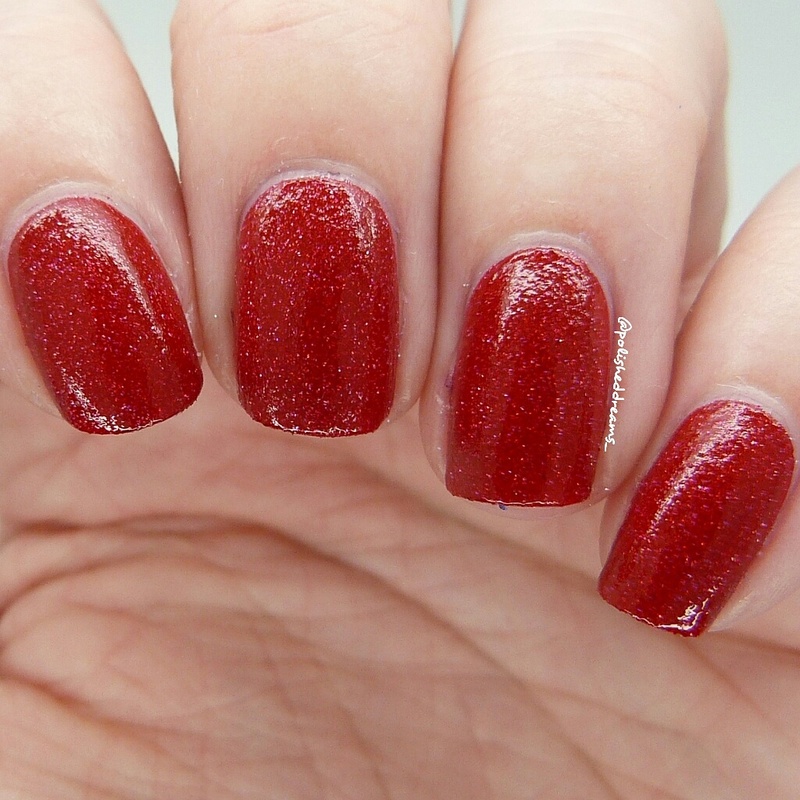 On a Mission to Mars is a bright red polish with scattered holo. The formula on this was brilliant, not too thick or thin and so easy to apply. 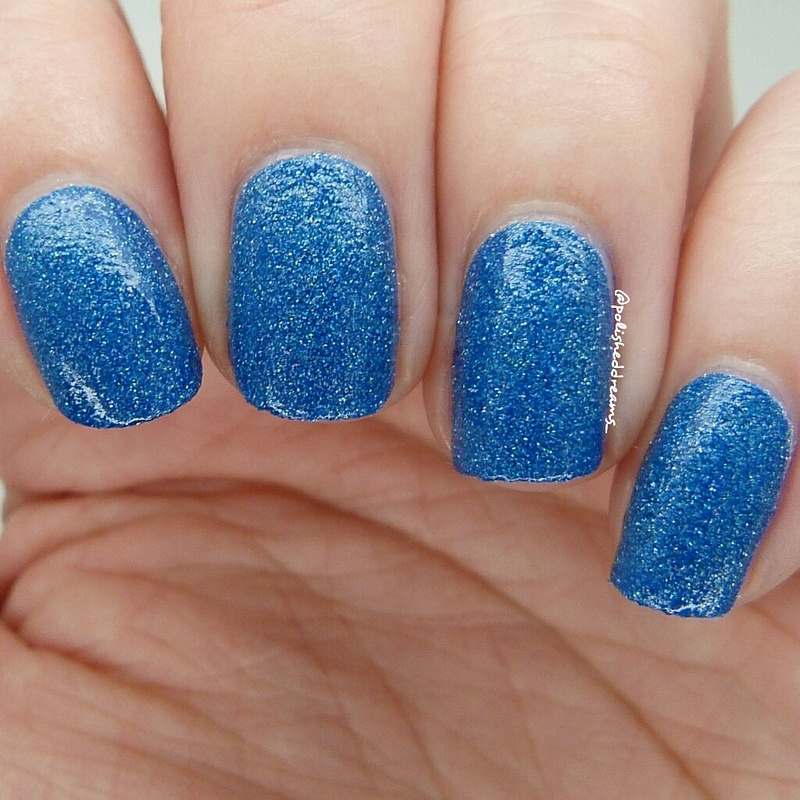 This swatch shows two coats plus topcoat. Through the Galaxy is a gorgeous black polish absolutely filled with holo. I know it's not really a Spring/Summer shade but it's still beautiful. The holo changes to so many different colours when under the light which you can see in a video I posted on Instagram here. Shown here is two coats and a topcoat. Back to Earth is bright blue polish with that gorgeous scattered holo. I know I always talk about how I love purple polish but I also actually have a lot of blues and this is definitely a new favourite. Again this was opaque in two coats and shown here with one coat of topcoat. Space Cadet is a stunning deep purple with scattered holo. Just like the other three in the collection, I absolutely love this. Again it was super easy to apply and also opaque in two coats. Overall I can safely say that I will definitely be buying more from Princess Nail Lacquer! 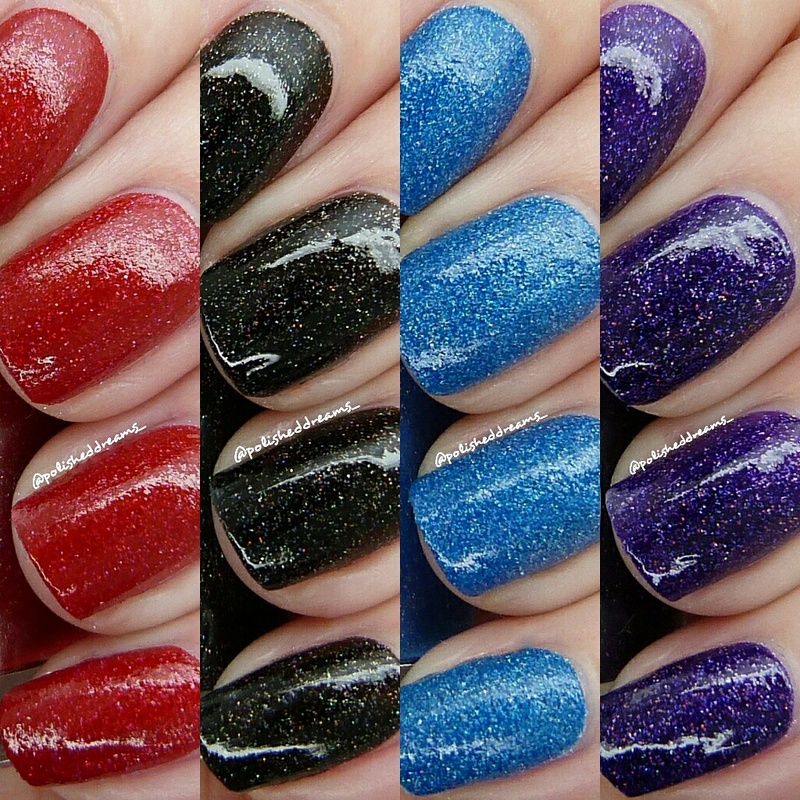 All four polishes were brilliant, I genuinely can't fault them. Just repeating myself here but the formulas were all fab, the polish went exactly where you wanted it to and no where else and of course the colours are amazing. This is definitely a collection worth getting! Thank you very much Ashleigh! 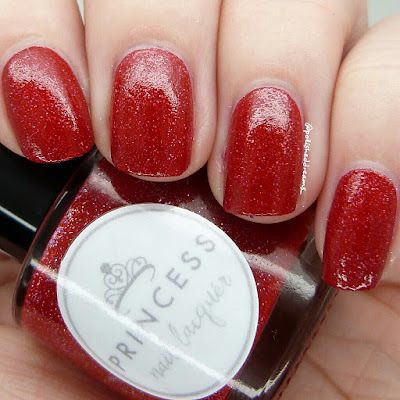 Take a look at Princess Nail Lacquer's shop here and buy some for yourself! 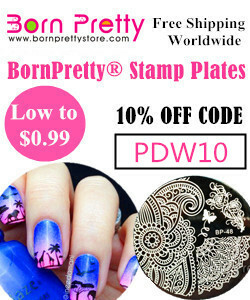 Have you bought any polishes from PNL yet? What's your favourite? Great post. Back to earth is my favourite.